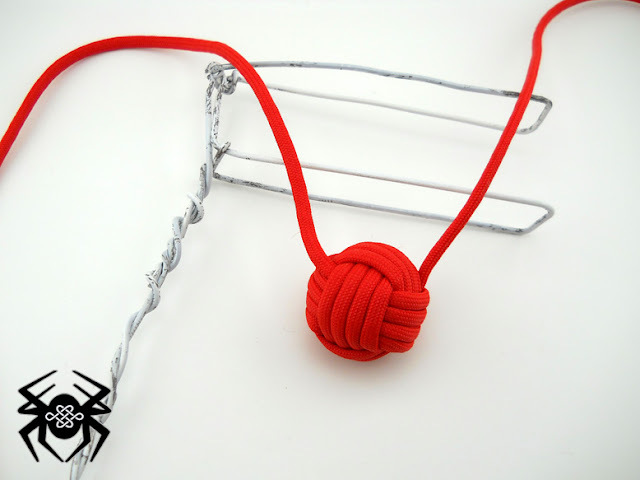 The Monkey Fist Knot was originally tied at the end of a rope to serve as a weight, making it easier to throw. Nowadays it serves for more of a decorative knot but can be used in many different ways such as a weapon. 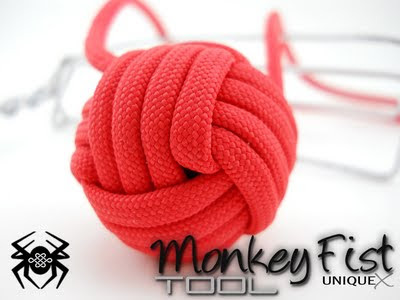 With this post I decided to show how I tie a Monkey Fist Knot using a tool that anyone can make. CLICK THE CONTINUE READING BUTTON TO VIEW THE REMAINDER OF THIS POST. 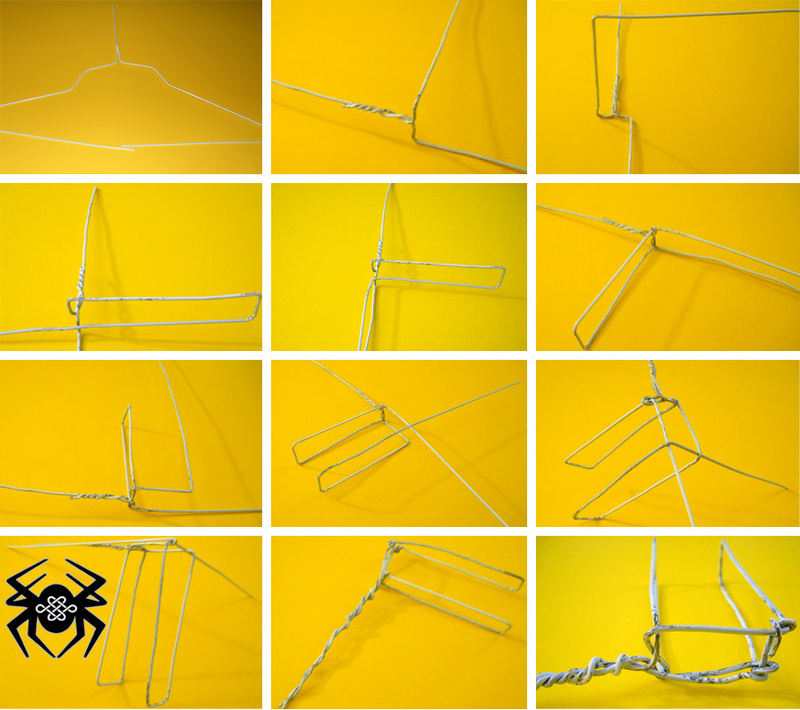 To make the tool for tying the Monkey Fist Knot, gather a clothes hanger from your closet and a pair of wire cutters. Follow along with the image tutorial provided below (double-click the image to view the original size of the image). TIP: Your tool does not have to look exactly like mine, get creative and mold your own design based on what you like the best. The tool simply replaces your fingers so remember that when you're making your tool. Now that the tool has been created, we can then tie our first Monkey Fist Knot using the tool. 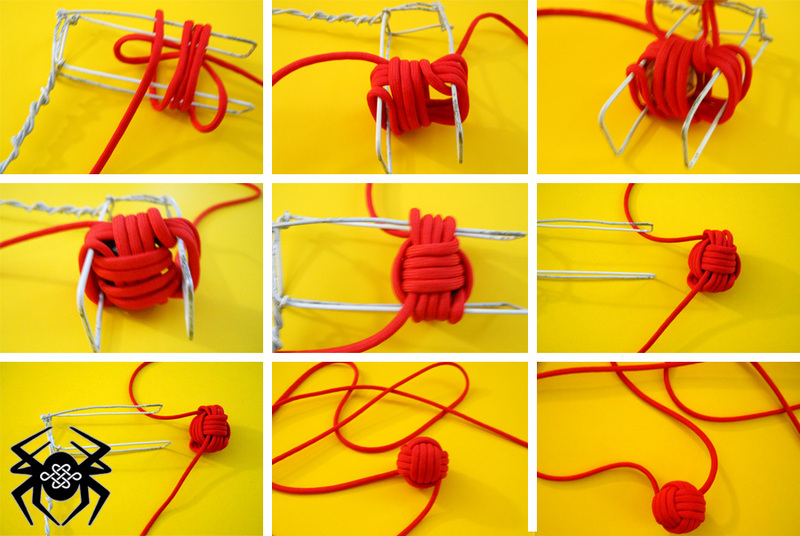 To tie the Monkey Fist Knot using the tool, follow the image tutorial provided below. Note: You can use other tying methods to tie the Monkey Fist Knot, I chose this method for clarity but may not be the best way for your intended purpose, you decide. Very nice. This will beat tying it around my fingers any day! Thanks for sharing. i cant freakin' do it!! Aaron: be specific, at what point are your getting stuck?